Modern designs. Personalise with poles, scallops & braids. 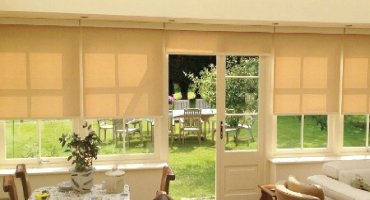 Our collection of roller blinds are an ideal choice for the home with our extensive range of colours and fabrics. 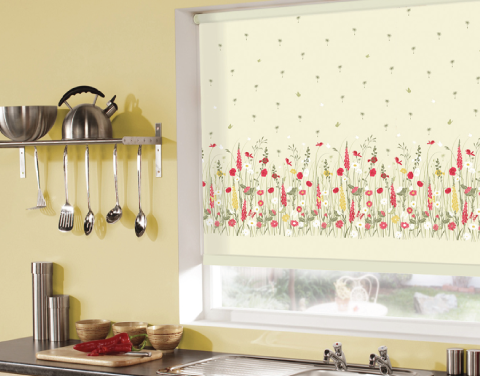 Our fabrics are also available in a water resistant print, which makes them a great choice for the bathroom or even the kitchen, or if you would prefer you can select a blackout lined blind for enhanced comfort. All of our Roller blinds are custom made on site here in Nottinghamshire, East Midlands and are made to measure to meet our customer's exact requirements. 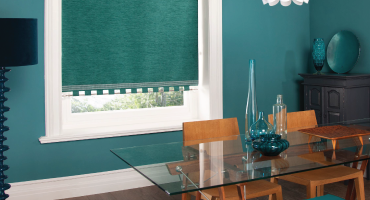 At North Notts Blinds we have a great collection of fabrics and colours for our Classic range of Roller blinds and are especially selected to compliment and coordinate with any room in the home. You can choose from our classic finish or try something new and select a roller blind from our range of blackout lined fabrics. 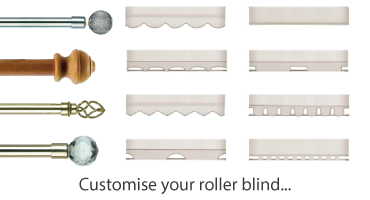 You can fully customise your Roller blinds to give your blind an absolutely unique look. 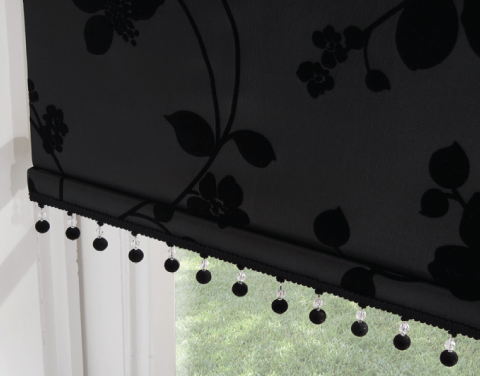 Why not take a look at our accessories where you can choose from our collection of poles, scallops and braids to give your blind that personal touch. All of our accessories are British made and manufactured to the highest standard. 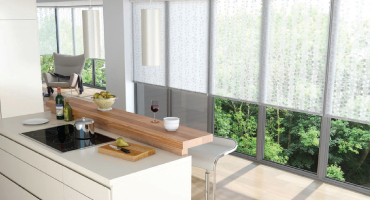 Antimicrobial roller blinds use Silver Technology to prevent the growth of bacteria, which makes them great for around the home, schools and hospitals. The fabrics combine safe, natural inorganic silver components, which have been used throughout history to combat bacterial growth. They are easily cleaned without the need of chemical cleaning products. 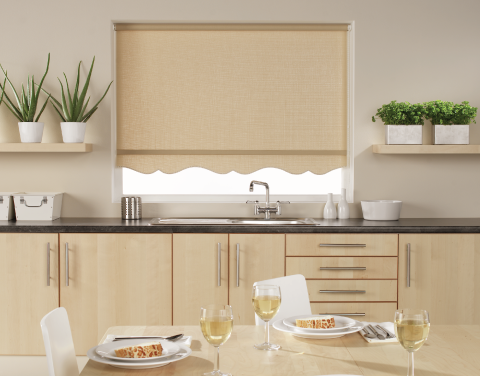 Our range of Senses Roller Blinds are safe, sealed and secure because there are no chains or hanging controls. This makes them great for around the family home. We have a great choice of fabrics, so whether it be plain, textured or patterned you are looking for, we're sure you'll find something. 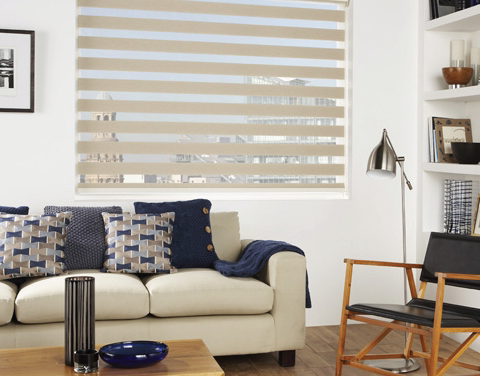 The Vision range of roller blinds is defined by it's unique style and fabric range. 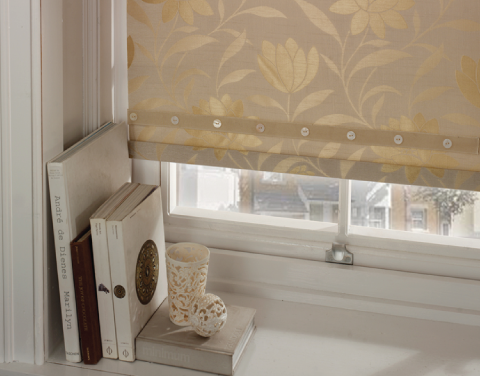 Available in superb metallic finishes, sheer fabrics and even a stunning wood woven effect these roller blinds are sure to be an asset when it comes to creating outstanding window shades for your home.